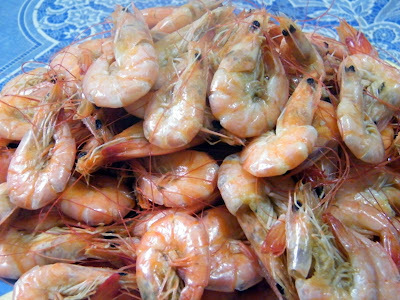 Shrimps have that distinct flavour which needs only the very basic of seasoning to make it stand out. Halabos na hipon is a very simple way of cooking shrimps but is always a favourite in our home back in the Philippines (we usually get our shrimps here shelled already, so we use it for other recipes). 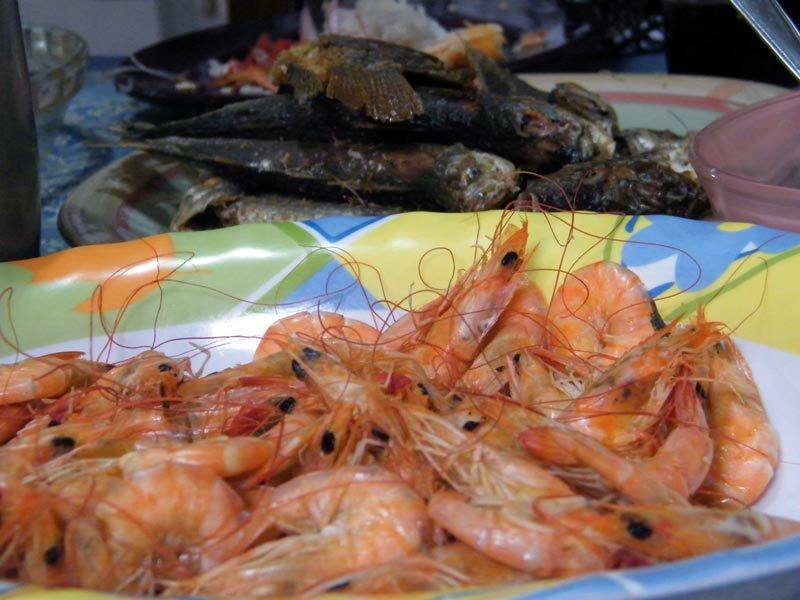 This is especially popular in the Dampa-style restaurants there where you buy your seafood from the market and then cooked for you. Whenever we have halabos, I always try to use my spoon and fork to peel off the shell because the shrimp smell is quite difficult to remove from your hands, but soon I find myself saying "what the heck" and proceed to using my hands, which is loads more fun! Place shrimp in pot with onion and garlic over medium heat. 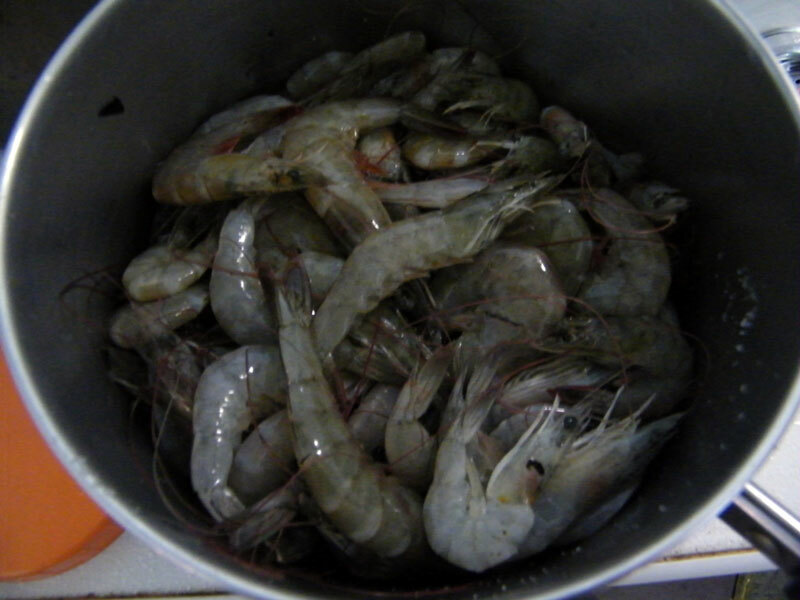 The shrimps will soon produce the juice from which they will get cooked. Mix after couple of minutes (my sister likes lifting the pot and giving it a good shake). Leave it a couple of minutes more; the water will have evaporated at this time. 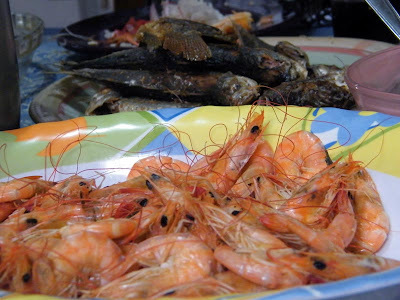 The grayish colour of the shrimps will also be bright orange now. Pour a little cooking oil, enough to just coat the shrimps. Mix it about for another couple of minutes to saute. Serve with the vinegar dip. A very easy recipe, isn't it? Enjoy! smelled my way here :D Fave ko yan!